This new YT channel isn’t going to be the sort of thing like my past podcasts where it’s updated on a set schedule. Since it’s video, I’m even more restricted by finding time when the house is empty and there’s no lawn mowing or construction noise. Traffic, I can’t do anything about. If you heard about the Universal Fan Con catastrophe, it was a Kickstarted comic con designed for marginalized fans and creators that claimed it would be accessible. TL;DR, it failed to come to fruition. What the successful funding showed was that people in the comics/geek community want more accessibility to public spaces and to content. Sometimes even I get stuck thinking “wheelchair accessible” is all to consider when it’s a huge spectrum from visual or hearing needs, sensory overload, mood disorders and other mental health considerations. One thing that I’ve become more aware of is invisible disabilities and admitting that mental illness and chronic pain/CF such as mine fall into this category. I didn’t know those were disabilities until fairly recently in my life (like 3-4 years ago). 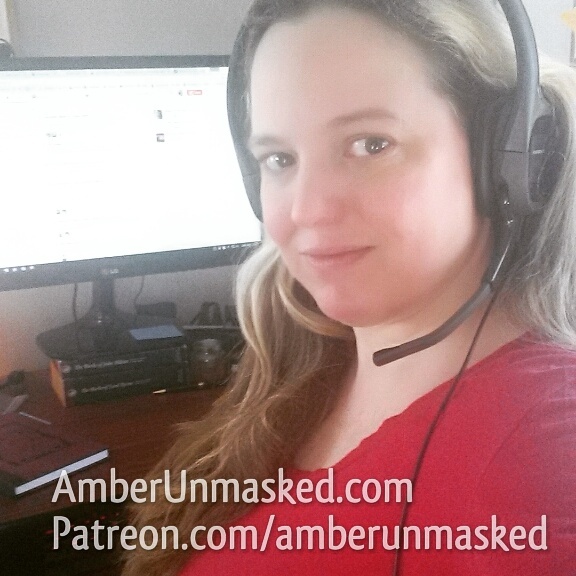 While I don’t have the financial means to make all my content as accessible as possible through use of transcripts, closed captions, or sign language, I am trying to do what I know. If you want to recommend something for me to add or modify, please let me know. I use YouTube’s built-in captioning and I have no idea how good that is. I also use background music a lot and if that’s making it more difficult, please let me know. For the Vodka O’Clock Podcast, I try to type up thorough notes so that if people can’t listen to the shows, they can still get the most pertinent information. I also hope my content such as the Yoga instagrams, blogs, and videosPlease Subscribe are trans-inclusive and body positive. I want people of all shapes to feel comfortable in a yoga class where things like “male and female energies” might come up, knowing that they are not about gender ID. 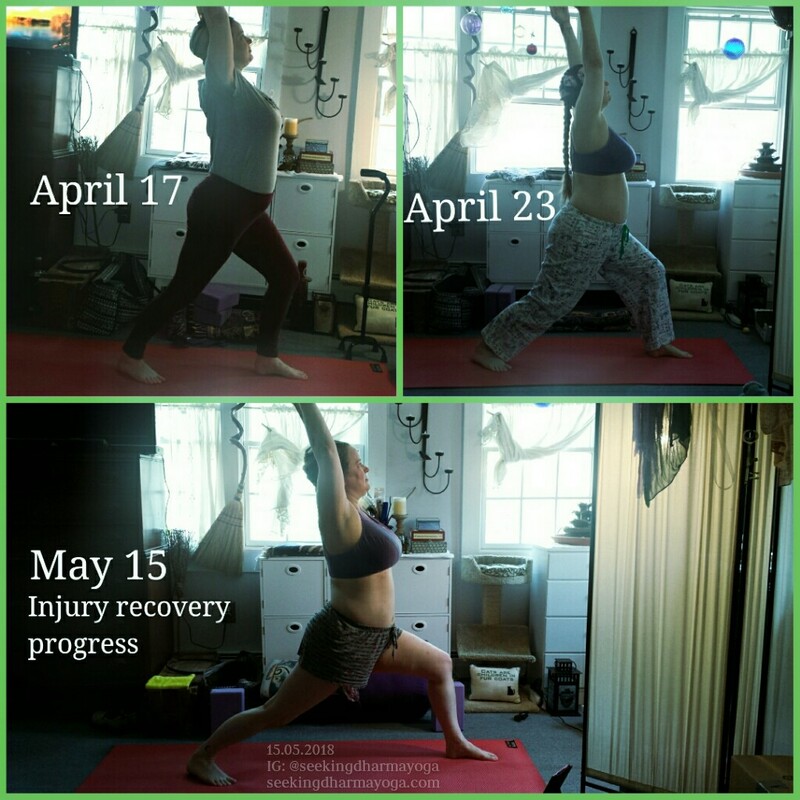 I don’t hide my belly in my videos so people can see that some extra padding doesn’t mean yoga is inaccessible. 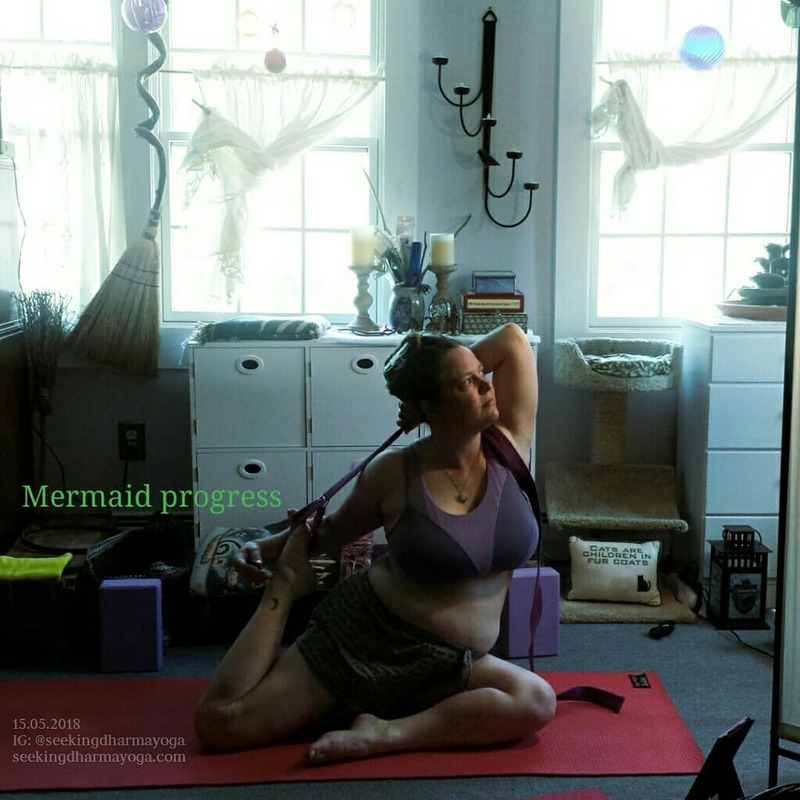 I’m not far into Mermaid Pose, but it’s progress not perfection that counts. After I taught at Garden State Comic Fest, I wrote up about the importance of offering Yoga at comic cons. Longtime professionals like Jamal Igle, Jamie McKelvie, and Phil Jimenez tweet about the importance of taking care of your physical body in order to extend your comics career. Pros who do martial arts like Thomas Pluck and Joe Lansdale can attest that moving the physical body helps their minds. Even in Comics Experience Workshop, founder Andy Schmidt volunteers to walk dogs at a local shelter to get away from his office, do community service, and clear his head. If you don’t know where to start with moving your physical body around in order to make that feel better and to free some of the cobwebs in your mind, just ask me and I’ll try to point you in the proper direction. Chair Supported Yoga with Cats!